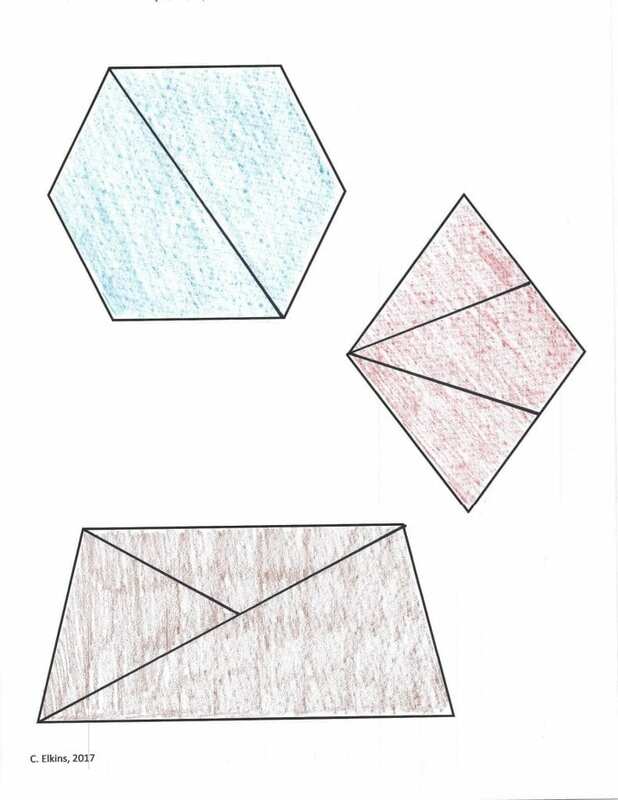 The activity sounds similar to the above, but students will be using their knowledge of shape attributes and properties (Level 2 or above) to decompose them into smaller shapes. 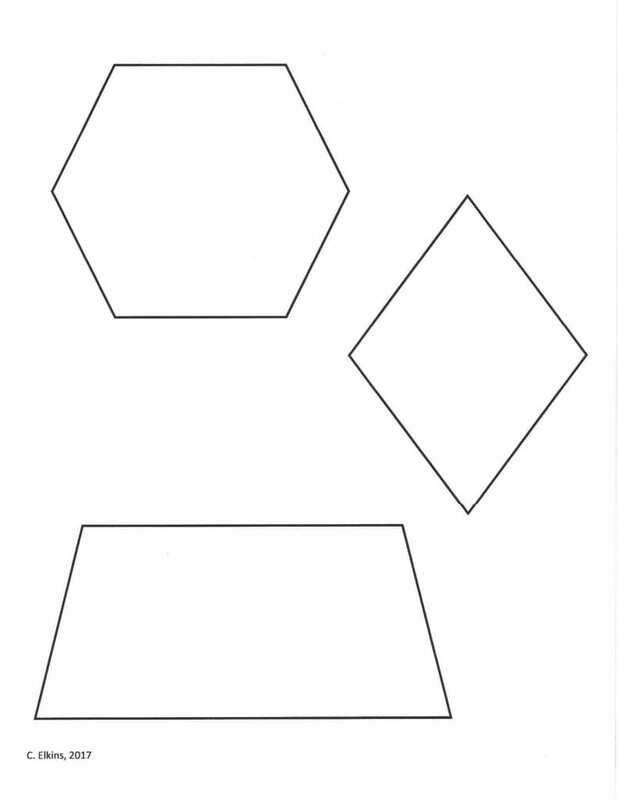 and name / describe the decomposed shapes. 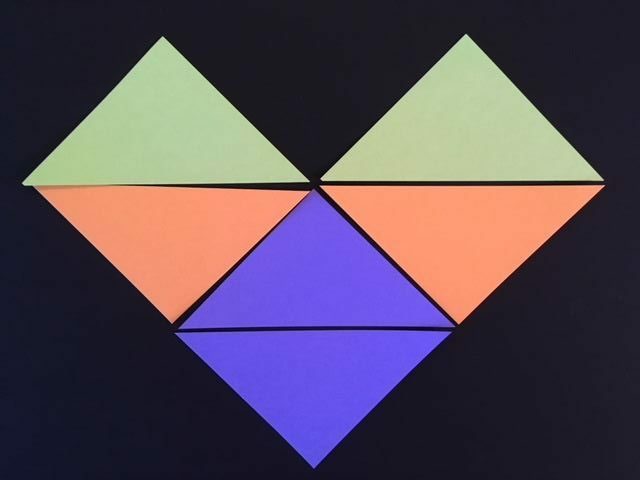 More advanced students can come up with ways to compute the area based on these decompositions and then relate them to the standard formulas. 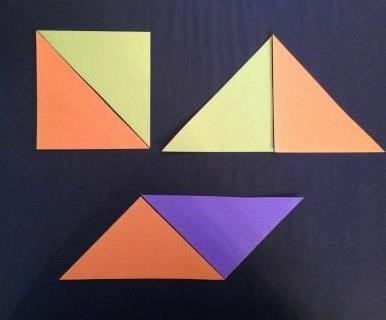 Example: You can decompose a square into 2 equal triangles. 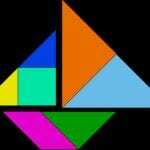 Then it is easy to see why the formula for area of a triangle is 1/2b•h. 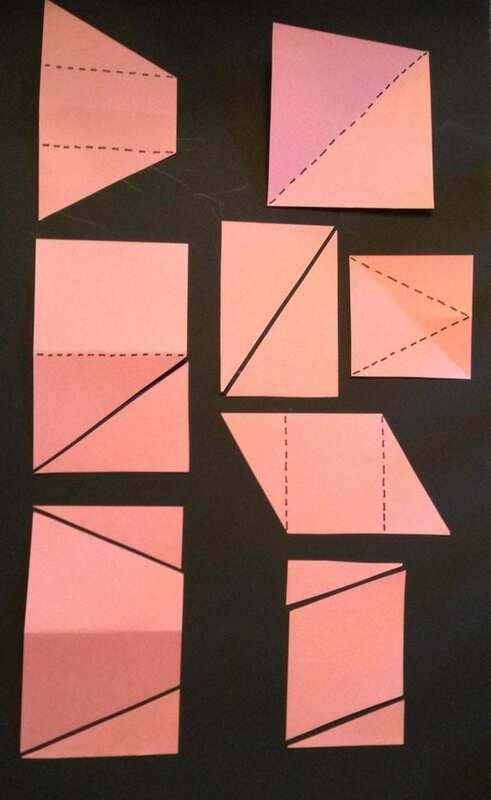 Decompose a parallelogram into a square or rectangle, plus the two triangles on the ends. The formula is b•h. 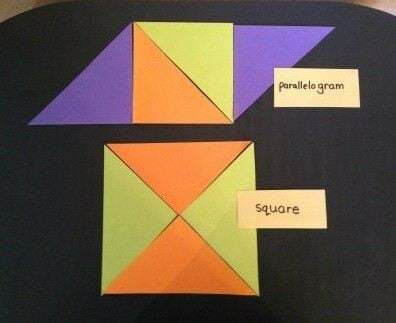 Students must use knowledge of perpendicular lines to determine the height of a parallelogram. 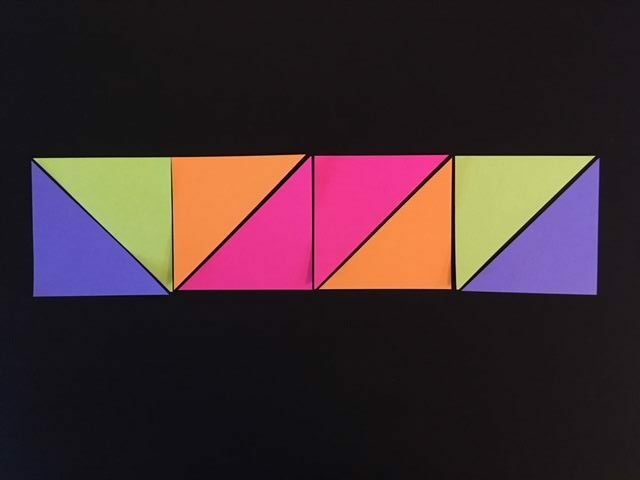 Can they see that if they took one of the triangles and placed it on the opposite end, it would resemble a regular rectangle (which is also classified as a parallelogram)? 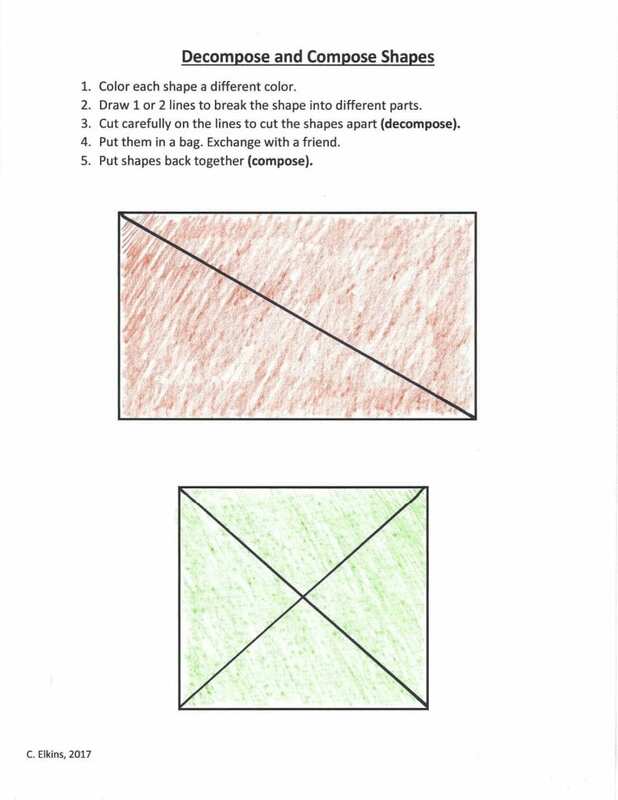 Decompose a rectangle into a trapezoid and 2 triangles (see picture). why the formula for area of a trapezoid is is h(b1 + b2 / 2)? 4. 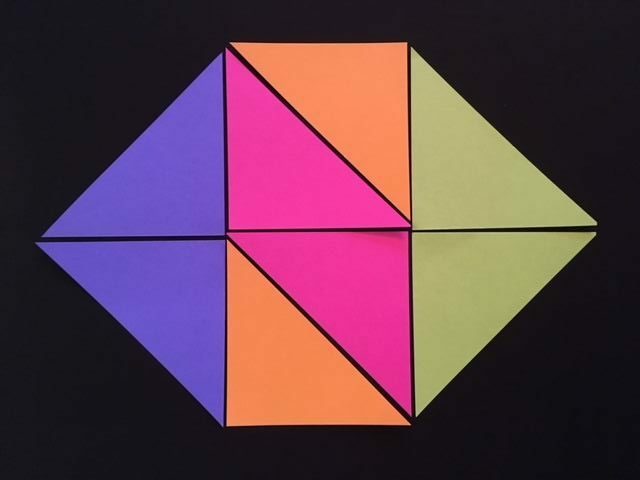 Use tangrams to create random designs, shapes, or other recognizable pictures. 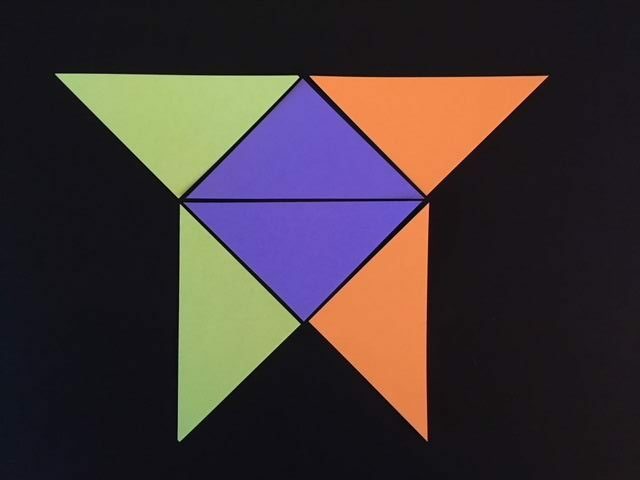 Most tangram sets come with some outlines to follow. 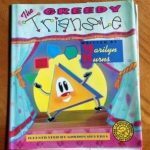 In case you don’t have any, here are some good resources. 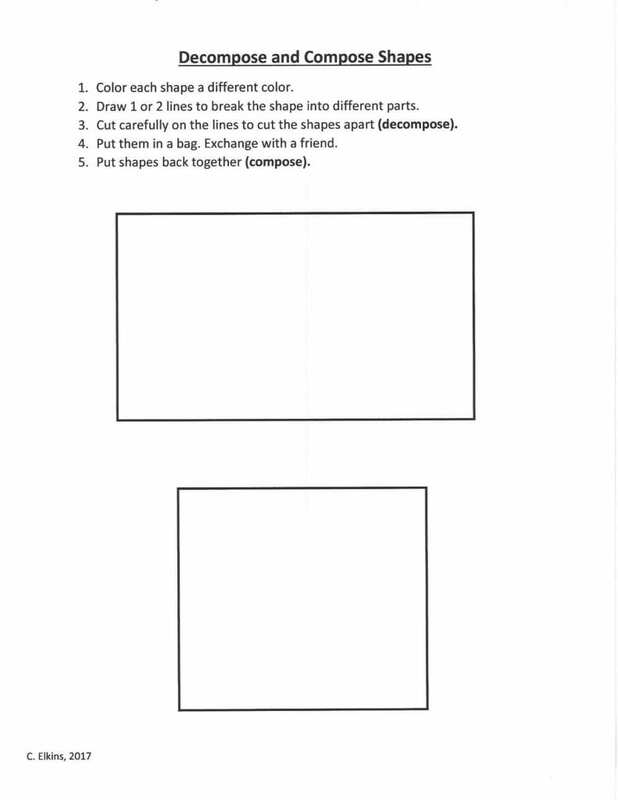 Still more composing and decomposing to go, especially with 3D shapes. STAY TUNED!! !